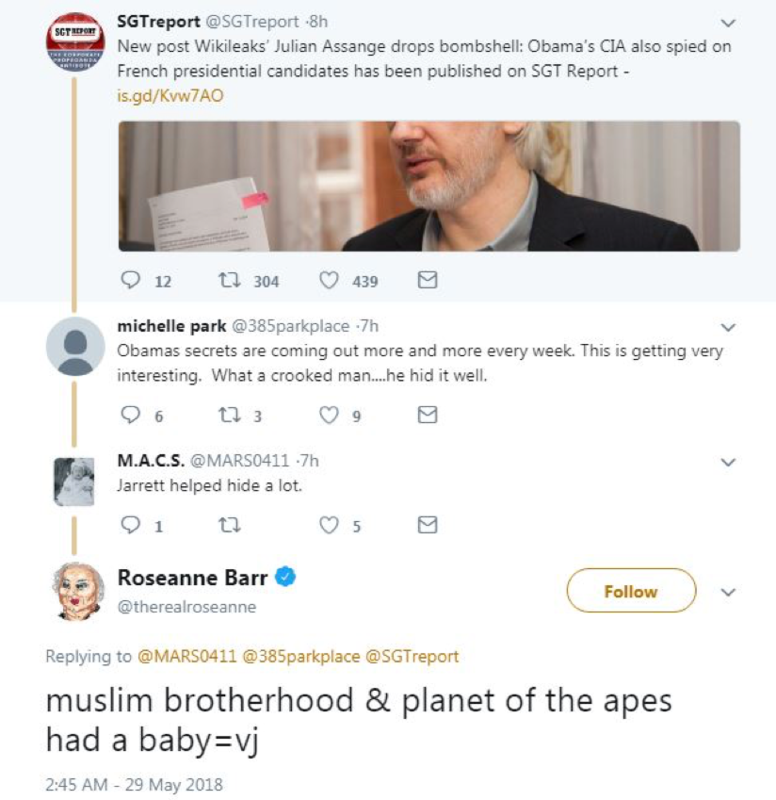 On Tuesday, Roseanne Barr posted a disgraceful tweet comparing Valerie Jarrett, a former White House adviser to President Obama, to an ape. Just as Michelle Wolf’s comments about Sarah Huckabee Sanders at the White House Correspondents' Dinner were demeaning and intolerable, Barr’s tweet was inexcusable. Valerie Jarrett and Sarah Huckabee Sanders both deserve an apology. Even if you disagree with someone, it’s possible to have a civil and respectful dialogue. It’s time to demand higher standards and #ChampionWomen everywhere.